Google has been attempting to gain a foothold in the gaming market for a while now. While most of its projects are centered around delivering VR experiences, and it’s already dipped its toes in this category with its investment in Chushou in China. But according to a report from The Information, Google is looking to break out of its bubble and focus on building a subscription-based gaming streaming service. The report notes that Google is looking to enter game-streaming space and deliver content either via Chromecast or a completely new gaming console. In case you’re wondering, here’s how the service, codenamed ‘Yeti’ would work. Users would be required to pay a subscription fee to access a collection of games. These games would run on a remote device and streamed over the internet to your primary display, which is likely to be a Smart TV. It sounds similar to how Sony’s PlayStation Now works. Reportedly, an early version of this service was designed to work on Chromecast. This doesn’t come as a surprise since Chromecast is already a popular streaming device used by millions to stream content across the globe. However, we’re not sure if it will be possible to hook up a controller to Chromecast to play the games. This is where the idea of a dedicated console comes into the picture. Google is said to be working on a hardware project led by two hardware executives – Mario Queiroz, VP of Product Management, and Majd Bakar, VP of Engineering. Hence, it is safe to assume that the company is cooking something, which could be unveiled in time for Google I/O. Now, game streaming isn’t anything new. The idea was pioneered by OnLive service back in 2010, and it was then picked up Sony, and they launched PlayStation Now. In fact, Nvidia has now entered the fray with their GeForce Now streaming service, with which you can stream graphics-heavy AAA titles as well. Google is definitely has the infrastructure for hosting intensive games in the cloud, and the project is said to be in development for years now. It was first scheduled to launch during the holiday season last year; however, it was delayed for an unknown reason. It is also worth making a note that this isn’t the first time Google has experimented with gaming hardware. 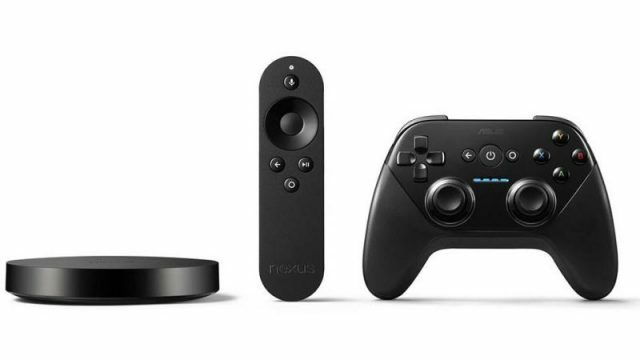 The company also launched the Nexus Player back in 2014, which failed to attract some attention as it didn’t have the ability to play modern games.